Last year's plunge is a distant memory as investors pile in to the stock on these fourth-quarter results. The resurgence in US-listed tech stocks stepped up a gear today as Facebook (NASDAQ:FB) surprise quarterly results helped the post-Christmas rally in its share price to beyond 30%. The performance highlights the merits of interactive investor clients looking beyond these shores, particularly when the London market is so lacking in exposure to "big tech". Many have already done so, given that our list of most bought US stocks in December was dominated by tech stocks in the wake of a general pounding for the shares in 2018. 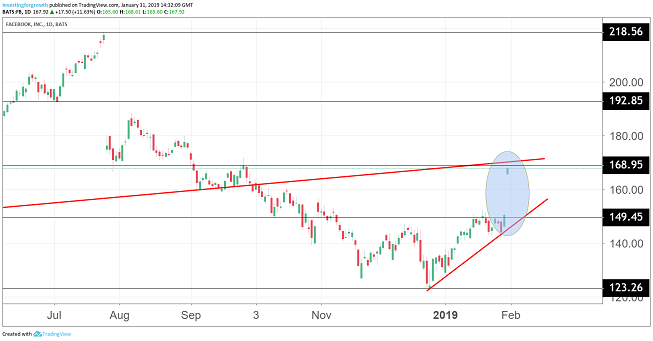 Facebook attracted plenty of buying interest after the shares fell from their July peak, but things haven't worked out so well for those who picked up Apple stock as the iPhone maker stunned the market early in 2019 with a warning about slowing demand in China. The sentiment around Facebook now appears to be improving after the data privacy scandal and political grilling of founder and CEO Mark Zuckerberg hammered the stock in March. The turnaround received a major boost last night when fourth quarter results beat Wall Street forecasts on both earnings and revenues. Shares rose more than 11% in after-hours trading to near to $170, having been as low as $125 in December following a slowdown in growth since the summer. The latest Q4 figures show that advertisers still can't do without Facebook and its family of apps, which include Instagram, WhatsApp and Messenger. Quarterly revenues rose by 30% to US$16.9 billion, although this growth is still the slowest for several years. Facebook estimates that around 2.7 billion people interact with at least one of its apps each month, and more than 2 billion people use at least one of the services every day on average. 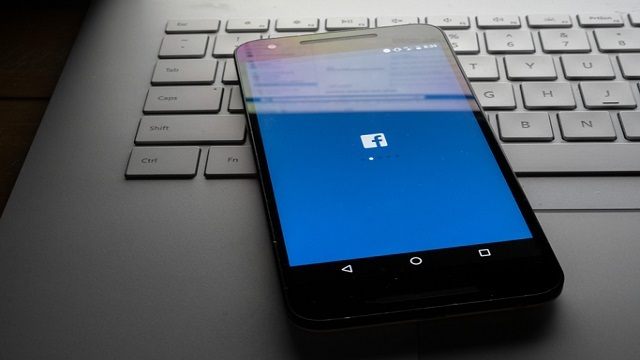 Analysts at UBS said last night's figures should give investors much more confidence in Facebook's engagement trends and revenue momentum at the start of 2019. While they note that management are now more upbeat than in mid 2018, the UBS team are opting to remain on the side-lines given that there's already been a solid rebound in the share price since Q4. They have a neutral rating and price target of $170, which is based on a projected 2019 price/earnings (PE) multiple of just under 20x. UBS adds that the potential for regulatory volatility was one reason to remain cautious heading into 2019. Facebook has invested heavily in improving privacy and security standards and now believes it is better placed to focus on product development after the distractions caused by a series of scandals in the past year. "Our community and business continue to grow. We've fundamentally changed how we run our company to focus on the biggest social issues, and we're investing more to build new and inspiring ways for people to connect."